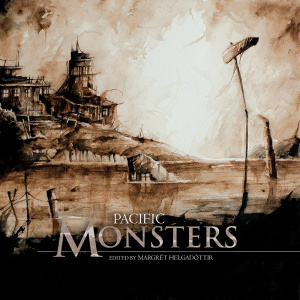 The Fox Spirit Books of Monsters is a coffee table book series from Fox Spirit Books with dark fiction and art about monsters from around the world, seven volumes between 2014 and 2020, starting with Europe in 2014, continuing with Africa in 2015, Asia in 2016 and Pacific area (Australia, New Zealand, and the Pacific Islands (including Hawaii) in 2017. Volume five and six will cover South, Mid and North America (including the Caribbean islands) before the series end with Eurasia (including Russia, Eastern Europe and the Balkan) in the end of 2020. African Monsters is a fantastic anthology featuring many African writers at the forefront of the new wave of Speculative Fiction tapping directly into the deep and rich mythology of African cultures. Ivor W. Hartmann, editor for African Roar and AfroSF volume 1 & 2. 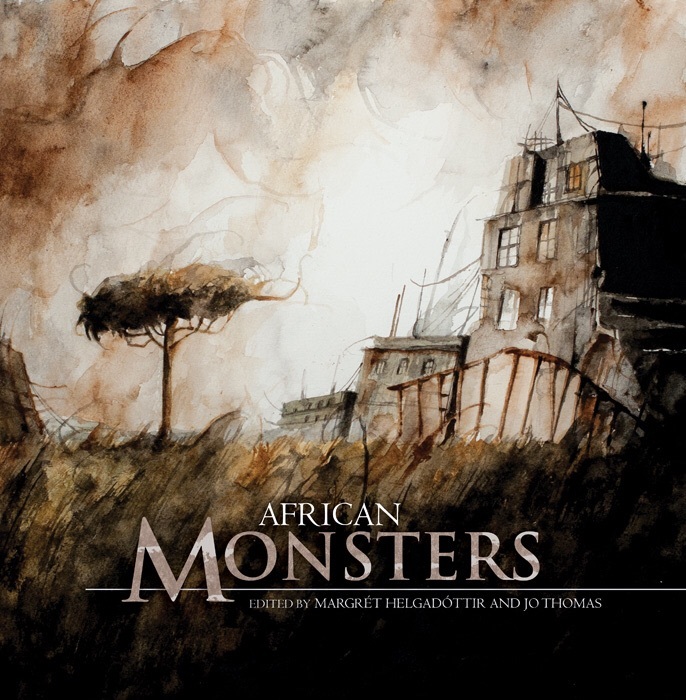 African monsters is filled with speculative fiction about monsters based on African folklore, legends and history, written by African authors. The book was published December 15th 2015 and can be bought as paperback at Amazon here (UK) and here (US). The book’s pages at Fox Spirit Books and Goodreads. Book trailer on You Tube. There was a launch party at Forbidden Planet in London March 3rd 2016, see here and a few pictures here. Plus awesome illustrations from Su Opperman, Kieran Walsh, Vincent Holland-Keen, Eugene Smith and Benali Amine. 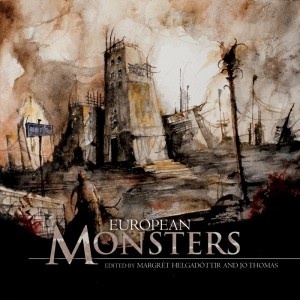 Cover art is by Daniele Serra. The book was shortlisted to British Fantasy Award 2016 in the category “Best Anthology”. And, lovely Sheffield Fantasy & Science Fiction Social Club picked out the book as one of three best anthologies for their SFSF Awards 2016. And, one of the short stories from African Monsters – “Bush Baby” by Chikodili Emelumadu – was shortlisted to 2017 Caine Prize for African Writing.